A game most of us likely played as a child is the sidestepping of the dark coloured pavement tiles. Perhaps we imagined those tiles were covering lava streams, deep chasms or other menacing situations. Skipping and jumping over the sidewalk, we tried to evade such impending doom. Until confronted with an insurmountable number of tiles. What to do next…? At that moment, a child probably didn’t realize how odd its behaviour appeared to passersby; in its mind, it was simply surviving its own imagined ordeals. Keep that in mind for now. Virtual Reality forced me to rethink what a game is or what I want a game to be. So much so that I stopped making games and started making dioramas (or interactive illustrations). Which is the same difference. The most important aspect of Virtual reality (VR) is presence. Presence in this sense encompasses both the physical and mental occupation of a virtual space. The more presence a VR experience provides, the more a player can disconnect himself from the real world to accept the virtual actuality as a new reality. Interaction is also something that should be reevaluated within the setting of VR. For me the simple question: “Does this help presence?” helped me to answer a lot of questions about my VR diorama design. Too much interaction can hurt your experience. In my dioramas I use interaction to tell a story. For example in Der Grosse Gottlieb the visitor is invited to reach out to touch a virtual star by spawning stars in the peripheral vision, which of course he will never be able too. Which is similar to Gottlieb and his quest to reach the stars, thus letting you experience the story instead of telling it. 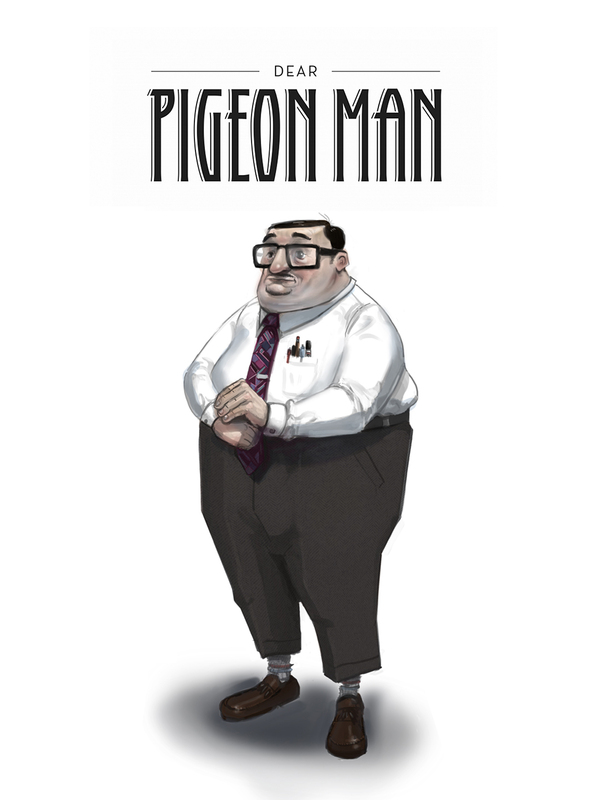 Another example can be found in my upcoming project: Dear Pigeon Man. In that diorama you can shake your head yes or no and look around to communicate with weird and wonderful characters. The way how you apply these controls are dictated by the type of character. A hard-working type will ignore you, a lonely type tries desperately to keep a conversation going. Thus getting to know a character through interaction. Which returns us to the child playing with the tiles on the street. This game of make-believe follows only a single, simple game mechanic. But in the child’s mind, the effect of taking the wrong step, at that moment at that place, is everything that matters: ‘If I make a wrong move, it all ends’. To me, that’s the essence of my ongoing series of fantastical dioramas for VR. Extracting emotions via game mechanics and linking them to a story. This can be compared with an illusionist’s trick. The illusionist builds a narrative around his act, in order to make people want to believe the rabbit actually disappeared into his top hat. The interaction is accessible yet loaded, but this definitely mustn’t be mistaken for a lack of interaction. Interaction serves the sense of presence. I daresay it’s not less of a worthwhile experience than the likes of Mario. It’s simply different. If you would like to experience my dioramas visit: www.theshoeboxdiorama.com or stay updated at www.facebook.com/shoeboxdiorama & www.dearpigeonman.com or follow me at twitter @Camefrombeyond.